Although John burned with a conviction that God was going to do something new, he had only the models of past prophets to guide him in opening a way to the great new thing. He lived in the desert, wore a camel hair coat and ate wild locusts and honey in imitation of Elijah. Like the prophets of the past, he warned the brood of vipers of the wrath to come if people did not shape up and turn back to God. (Lk. 3: 7) Again like the prophets, he told soldiers not to oppress vulnerable people. Yet again like the prophets, he rebuked his ruler, Herod. And like so many of the prophets, he was put to death. In John’s time, baptism was established as a custom for cleansing converts. John gave it a new twist by insisting that his fellow Jews needed to be converted as much as the Gentiles and so were in need of being baptized. This was a prophetic action to dramatize God’s word. Today we call it guerilla theater. The teaching dramatized in this novel way was traditional: the people should return to the Lord who will purify them of their sins. John defined himself through the words of Isaiah by quoting Isaiah’s prophecy of a new pathway of the Lord. (Is. 40: 3) The pathway through the desert that Isaiah was prophesying was for the return of the exiles from Babylon to Jerusalem, a great new thing God was doing in Isaiah’s time. In quoting these words, John was announcing that God was going to do yet another new thing, something God had never done before. For John, this new thing was focused on a person who was to come. John believed that Jesus was this person when he came to the river. But John was confused about him, and not for the last time, when Jesus insisted on being baptized although John thought Jesus was the one person who didn’t need it. When he was in prison by order of King Herod, John had doubts about Jesus and he sent two followers to ask Jesus if he was the one he was expecting. It seems odd that the healing miracles John’s disciples had just reported should cause doubts, but a ministry of healing was beyond the scope of John’s own ministry. Typically, Jesus did not answer the question, but pointed to his healings and said “ blessed is anyone who takes no offense at me.” (Lk. 7: 23) Given the fiery rhetoric of John’s own preaching, the sentiments of the Sermon on the Mount may also have been confusing to John. John knew that his prophetic ministry was fading. In such a situation, most people fight back and try to regain the upper hand. René Girard suggests in The Scapegoat that John denounced Herod’s marriage not so much on legal grounds but because of the rivalrous action of taking his brother’s wife. This realization would have made John all the more cautious about rivalry on his own part and caused him to take Jesus’ admonition to avoid offense to heart, as offense is the spark that flames rivalry. John managed to renounce rivalrous behavior to the extent of saying that Jesus would increase while John would decrease. But did John know what he was renouncing rivalry for? Did John ever get an inkling that the greatest new thing God was doing in Isaiah’s time was not returning the exiles to Jerusalem but raising up a person who accepted disgrace, torment and possibly death without retaliating in any way? On reflecting on Jesus’ insistence that he be baptized, did John finally realize that Jesus was taking on the sins of the people as did Isaiah’s Suffering Servant, which would make Jesus the “lamb of God?” Most Bible scholars think it unlikely that John arrived at these insights and they think the evangelists wrote them into the narrative to elucidate John’s place in relation to Jesus. Maybe. But John obviously thought long and hard about his own vocation in relation to Jesus and he was outspoken enough to cry out glimpses of insight he still did not understand. In our time we may think we know what John was pointing to even when John didn’t, but we do well to ponder why, in her infinite wisdom, the Church gives us a liturgical year that begins with Advent where John the Baptist is prominent. Why have a season to look forward to what we know we are looking forward to? Maybe we are more in the dark about what it means for Jesus to be the Lamb of God than we think we are. Maybe we still don’t really know what great new thing God has done and what greater thing God will do. Maybe we have a lot more to look forward to than we know. The widow who put “two small copper coins” in the temple treasury, all she had to live on, (Mk. 12: 42) has been held up by many preachers as a touching example of heart-warming generosity. Those of us who have come to notice the social and economic issues in the Gospels have seen some concerns that are rather chilling. Highly troubling are the preceding verses where Jesus denounces the scribes who “devour widows’ houses.” The scribes of today wear state-of-the-art business suits, sit on prestigious boards, and make a great display of their almsgiving after defrauding vulnerable people with such practices as predatory loans. Although using economic power to defraud the vulnerable is not the same thing as passively receiving a penny from a poor widow, the juxtaposition of these references to widows raises questions. The questions become more worrisome when we recall how the prophets denounced those who oppressed widows and orphans almost every time they spoke out on social issues. The very next verse on the other side of the story of the widow and her two coins raises even more urgent questions. In response to a disciple’s commenting on the great stones of the temple, Jesus says: “Not one stone will be left here upon another; all will be thrown down.” (Mk. 13: 1) This suggests that the poor widow is giving her last two coins for a bad cause. 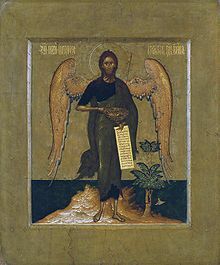 The Epistle to the Hebrews drives home this point when he says: “Christ did not enter a sanctuary made by human hands, a mere copy of the true one, but he entered into heaven itself, now to appear in the presence of God on our behalf.” (Heb. 9: 24) Jesus himself has become the Temple and there is no need for any other. Is this poor widow a bad example, then? By no means. This poor widow reminds us of the widow who gave Elijah some of the last grains of meal that she had after which she expected to die with her son. (1 Kings 17: 12) Moreover, the poor widow’s generosity in giving everything she had echoes the story of the rich man who was also asked to give everything but went away sad because of his great wealth. Since giving everything is a sign of the Kingdom of God, the poor widow is a sign of the Kingdom while the rich man who went away sad and the rich who contributed lavishly to the temple treasury are not. On the other hand, the woman who poured a jar of ointment over Jesus’ head (Mk. 14: 3–9) was also giving most, if not all, she had. Another sign of the Kingdom. The matter of a bad cause reminds us that generosity is required of those who depend on alms. We must be good causes. In a time when many “scribes” of today create charitable scams, it is important to use charity money in a charitable way. I feel this responsibility as a member of a monastic community as I remember where the money we spend comes from. The Jar of meal from which the widow baked a cake for Elijah did not run out in spite of the long famine. Jesus, who also gave all of himself on the Cross, rose to new life, a new life of endless abundance that the widow who gave two small coins surely shares along with the woman who poured out a jar of oil over Jesus’ head. Will we be signs of God’s Kingdom like these two women? Both of these scripture readings make it dramatically clear that being truly focused on God and God’s peace beyond human understanding is very difficult. Elijah shows how it is very possible to hear the “sheer silence” and yet also “hear” the violence unfolding in his generation. That Elijah was persecuted by Jezebel, Ahab’s wife, makes it understandable that Elijah would hear, even in the “sheer silence,” his own anger and fear towards Ahab’s royal house. Likewise, the disciples in the boat on the stormy sea are so caught up both in the natural storm and the storm of their own disputatiousness that even Jesus himself appears as an object of horror rather than peace. We should take this as a warning of how our prayer in trying times can be distorted by our own anger and anxiety. There is no simple solution I can offer for this difficulty we all face. In principle, it seems simple to say that we should turn to Jesus and stay turned to him. The problem is that this “simple” solution is difficult minute by minute, second by second. We look at the chaotic waves of the water and sink back into our fears, resentment, and rage. It is a huge help if we remain aware of this weakness and don’t mistake the storms inside ourselves for the word of God. When we fall into our rage, the storm continues, for Jesus calms the waters; he does not stir them up. It takes time and discipline to keep even enough focus on the “sheer silence” to help us see the rage we keep hearing for what it is. Imitating Peter by crying for mercy is essential as this is a cry of repentance of our violence that is the first step to living in the peace of Christ. Whose Axe? Whose Winnowing Fork? After centuries without a prophet, a wave of expectation flooded Judea and Galilee. A man dressed the way Elijah was dressed rode this wave and pushed it along with his boisterous preaching. “Repent, for the Kingdom of Heaven is near.” What sort of kingdom did he expect? The call to repent tells us only that we must turn from the direction we are going and move into a different direction. Question the ways we live and look for a different direction. Two astounding prophecies by Isaiah offer us intriguing, inspiring, but puzzling hints about what the Kingdom might be when he urged us to turn “swords into plowshares” and “spears into pruning hooks” so that we “study war no more” as the spiritual says and that “the wolf shall live with the lamb.” So, now we have all of creation at peace? Not quite. Isaiah tells us that the “shoot from the stump of Jesse” will “smite the earth with the rod of his mouth, and with the breath of his lips he shall slay the wicked.” Apparently taming lions and tigers and bears is easier than taming predatory humans. In calling the Pharisees and Sadducees, “that brood of vipers,” and asking who told them to flee the “wrath to come” while an ax was “laid at the trees” and his successor would have “a winnowing fork in his hand” suggests that they were not as tamable as predatory animals. The predatory lenders of today seem just as untamable. However, surely the kingdom of Heaven was not wrath of this sort, even if John, like the prophets before him, thought such wrath might clear the way for Heaven’s Kingdom. As soon as he is baptized by John, Jesus cries out precisely the same words: “Repent, for the Kingdom of Heaven is near.” By saying these same words, is he perhaps telling us that John the Baptist, of whom there is none greater born of woman, hasn’t quite set the right direction either. His baptism has taken him on a very different track: the Paschal Mystery. That may seem a bit anachronistic, but from the preaching the Sermon on the Mount on, Jesus takes the direction of absorbing violence rather than inflicting it. Not only does the Kingdom not consist of threshing out the bad guys with a winnowing fork and burning them, but such threshing doesn’t even pave the way to the kingdom. If anything, this violence only blocks the way for everybody as, in our righteous indignation against predatory lenders and their ilk, the axes and fires for burning chaff multiply. One might argue that Jesus himself had some choice words for the Sadducees and Pharisees. However, Jesus called them whitewashed tombs filled with people’s man’s bones. Jesus wasn’t chopping off their heads or burning them up; he was warning them about how dead they were. If Jesus isn’t a thunder deity carrying a battle axe, whose axe is laid to the tree? In his lectionary commentary, Paul Nuechterlein provocatively suggests that the axe is wielded by us. It isn’t God but we who are chopping down trees all over the world. That is indeed what happened on Mount Calvary. Moreover, according to Isaiah, it is from the stump that new life emerged. So, whose wrath should we flee? Ours. What should we run to? How about the chopped stump from which the new Tree of Life is growing?